We humans have always been a bit fascinated by robots that simulate humans. Hollywood has played to our imagination many times with artificial intelligence robots in starring rolls. Science fiction authors have both thrilled and horrified us while exploring artificial intelligence. And researchers and technology companies have worked hard to bring chatter bots to life. Up until relatively recently, the idea of chatting with a bot in your daily life probably sounded preposterous to most people. It was science fiction stuff. Yet now the technology is growing and is accessible to just about everyone on their phones and computers. Nearly everyone you know has probably used this technology a few times – and it’s set to boom in the very near future as demand for it grows. Now here’s the best part: for the first time ever, this amazing technology is available to small business owners just like you to help cut costs, close sales, and grow your business in ways you never imagined. Sounds exciting, right? It is. Now before I reveal to you how you can use this technology, let’s take a look back at how it all started. It’s 1966, and Joseph Weizenbaum has just developed a chatter bot named ELIZA. 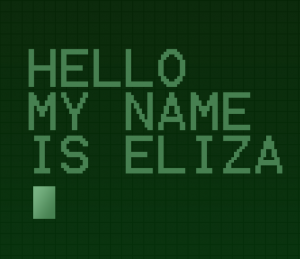 ELIZA is one of the first chatter bots to pass the Turing Test, at least initially. What happens is that a human is set to blindly play a game against another human and a chatter bot. The human asks questions, and then based on the answers he must determine if he’s talking to a human or a bot. If the bot passes as a human during this game, then the bot is said to have passed the Turing Test. Of course most bots eventually give themselves away, since their answers are limited to how they’re programmed and what they’ve learned. However, the fact that chatter bots speak so naturally, and that humans get emotionally attached to them, just shows you how amazing this technology is. From ELIZA onward various famous chatter bots appeared, including the so-called schizophrenic PARRY, which was born in 1972 and was quite a bit more advanced than ELIZA. In 1988 Jabberwocky was developed, which moved from a text-based interface to a voice-operated interface. By 1995 ALICE came onto the scene, which was one of the first chatter bots to use heuristics to have a “real” conversation. 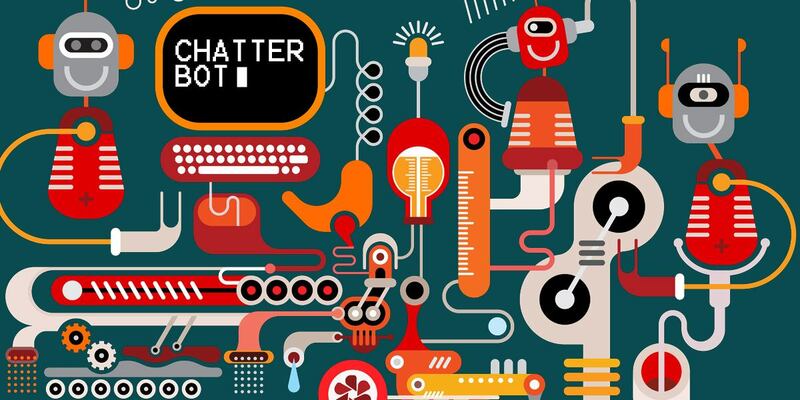 As we entered the 21st century, chatter bots have grown by leaps and bounds. They’ve gone from bots sitting in labs only accessible to researchers, to chatter bots available to everyone in the form of Siri, Amazon’s Alexa, Google’s Voice, Microsoft’s Cortana and similar bots. Remember the whole “there’s an app for that” saying just a few years back? Those developing functions for smart phones, computers and other devices used to assume that everyone wanted to fill their devices with apps to perform as many tasks as possible. But it turns out that people just don’t want to bother with opening and closing a bazillion apps whenever they need something done. They’d rather have a central app – like a personal assistant – that can do multiple tasks for them. That’s why devices such as the Amazon Echo are so popular. These devices don’t even have a graphical-user-interface – they’re just microphones connected to the internet. Users love the idea of simply saying out loud what they need and having Amazon’s Alexa perform the task or deliver the information. The Amazon Echo is just one example of how the Internet of Things is becoming deeply embedded in our lives. Simply put, all of our day-to-day objects are getting connected to the internet. I’m talking everything from your car to your books (Kindle) to your coffee maker to your air conditioner. For example, you can tell the Amazon Echo (through Alexa) to turn off your lights, turn on your coffee maker or start your car. You don’t need to run to the object and operate it yourself manually. All you have to do is ask Alexa to do it for you, and Alexa performs the task like a personal assistant. No wonder people get emotionally attached to their chatter bots! This progression was predictable to anyone who was paying attention to the technology sectors in the last decade or so. The more that humans can interact with their devices in a naturally human way, the more use and enjoyment they get out of these devices. 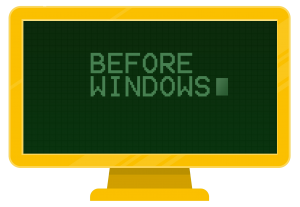 Just think back to the dawning of computer operating systems such as Microsoft Windows. Prior to Windows, those who wanted to operate a computer needed to know a veritable cornucopia of programming commands in order to do the simplest of tasks. It was WAY too geeky for 99% of the population. Enter Windows, and now the average person could run a computer simply by pointing and clicking on icons. No programming knowledge required! And what’s happening now is even more exciting. Today people don’t even have to point and click to get things done – they just have to ask a chatter bot to perform a task or give them a piece of information. That’s even easier than pointing, clicking or swiping! Now as you might suspect, the big companies are beginning to harness this chatter bot technology in very profitable ways. Of course companies such as Apple, Google, Amazon, Microsoft and similar technology companies make money by outfitting their devices and operating systems with their proprietary chatter bots and assistants. A customer service bot (like the one at Master Card) can slash customer service staff costs and increase customer satisfaction. A sales bot can increase conversion rates by answering questions, handling objections, and reiterating benefits. The big companies like Facebook, Pizza Hut, AT&T, 1800 Flowers, the NBA, Fiat, The Wall Street Journal, Slack and many more are using this chatter bot technology RIGHT NOW to save money, close more sales and grow their businesses. Simply put, your users are getting used to this technology in every other facet of their lives – and if you’re not offering this sort of technology on your website, your business is going to look musty and outdated. 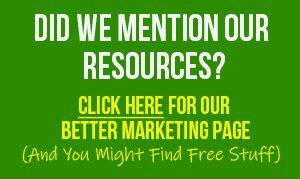 Your prospects are going to click the back button and find someone who can give them what they need. Now I know some of you who are reading this are shaking your heads and thinking that a chatter bot can’t possibly make that much of a different to your business. And the answer is yes… yes it can. We humans (and yup, that includes all of your prospects) are spoiled in the sense that we can get instant information. Chatter bot assistants like Siri or Alexa can tell us the weather, the population of London, and the distance between cities. These assistants can tell us a joke, calculate a tip at a restaurant, and wake us up in the morning. And they can do all of these tasks seamlessly and instantly. Now imagine your prospect comes to your website. This prospect is used to getting information instantly. They land on your sales page. They skim it. They glance over the FAQs. But in this instant-gratification world, it’s really all too much for them to read in order to get answers to their questions, such as whether you offer a guarantee or if the product is suitable for an eight-year-old. So the prospect hits up your customer service staff with an email. Except it’s midnight in your time zone, and your staff won’t be online for another eight hours. Or worse yet, it’s Friday night, and your staff isn’t going to be back until Monday morning. You have a prospective customer sitting on your sales page with a credit card in hand, wanting to ask one quick question before they buy. But they’re not going to get a quick answer. It’s going to take at least eight hours, maybe even longer if it’s a weekend. So what do you think this prospective customer is going to do? They’re going to click off your page. They’re going to find your competitor. And if they can get an instant answer from your competitor, then they’re going to reward that competitor with a purchase. Who knows – maybe your competitor has a chatter bot working for them, which is why their customers and prospects get instant answers. That’s just one way that a good chatter bot can help meet your customers’ expectations and save the sale. Think about what happens every time you enter a brick and mortar store and roam around for a while. Chances are, pretty soon you’ll have one of the sales staff ask you if you need any help. Up until that moment, you hadn’t even thought of asking the sales staff for help. You were just going to browse until you found what you were looking for. Or if you didn’t find what you were looking for, you might have figured you wasted too much time already, and you leave the store. But when the sales staff simply asks you if you need help, you take advantage of the offer. And you not only get what you need fast, you buy something… and walk away as one very satisfied customer. Now you can do the same thing on your website. You can have a chatter bot pop up and ask visitors if it can help them find anything. And just like you and I do in physical stores, your prospects are going to take advantage of that unsolicited help. Simple questions – but the prospect never would have bothered your customer service staff with these questions. The visitor would have simply looked around until they found what they were looking for – or until they figured they wasted too much time. In that case, they walk away empty handed and unsatisfied, and it’s unlikely they’ll be back. Now suppose you install a helpful bot. The bot pops up and asks the customer if they need help finding anything. The customer gets their answer, purchases the product (where applicable), and walks away very happy and satisfied. And the whole thing takes place without you or your customer service staff every entering the process! Tell you what, this type of use for a chatter bot is happening right now. You’ve probably even landed on a website recently where a bot asked if they could help you out. Am I right? It’s very popular right now, and the trend is growing. That’s because those who are using this technology are generating more revenue and creating more satisfied customers than ever before. Now at this point, perhaps you’re beginning to see how a bot could be very useful to your business. You can just imagine a bot stepping in to handle customer service inquiries – what a lifesaver. You can definitely see how a bot would improve the customer service experience and generate new sales. You can see how a bot could easily increase your conversion rates and turn more tire-kicking browsers into cash-paying customers. Option #1 was to hire someone to build you a bot. Now if you’ve looked at the cost to hire a good software development team, then you know this is not a cheap task. A bot is sophisticated software, and it takes a sophisticated team in order to build something that would represent your business well. That’s why up until now only huge Fortune 500 companies had the funds needed to build a good bot. Most small business owners just don’t have the enormous budget needed to build a bot. 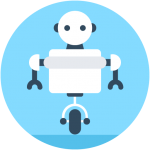 You need to hire a software architect, a team of programmers, and then put in place a system for testing your bot. All of that costs a lot of money. Of course the other problem is finding a team who can handle something like this. The BEST people for the job are going to cost a lot of money, and they’re not going to be freely available. You may need to wait six months or more before they can even look at your project – and then the development time can easily stretch out to a year or more. If you try to go cheap on this project, you’ll just end up disappointed. Like the saying goes, if you pay in peanuts, you’ll get monkeys. You’ll end up with a programmer who just figured out how to code a simple program last night, and now he thinks he’s an expert. Or you’ll get a semi-decent coder… but he doesn’t speak English, so you can’t express your vision of the project to him. Point is, you can’t do this for cheap. Lots of people have tried, but it doesn’t work out. So if you hire developers to create your bot, you need to be prepared to pay a lot of money and wait a long time. Option #2 is to build a bot yourself. If you look around, there are some companies that can help out by giving you the framework to build a bot. These bot-building platforms aren’t designed for the average person. They’re created for software developers and programmers. That’s because these programs provide bits and pieces of code for professional programmers to put together. If you don’t know how to read and write code, then you won’t be able to build a blot using these platforms. Where does that lead you? Right – it leads you right back to having to hire an expensive team to build your bot. And even though the team may charge less if they’re building your bot using a bot-building platform, you’re still going to have all the hassles of finding and hiring the team, paying out an enormous sum, and waiting for many months to get your bot up and running. So you can see why small business owners don’t have bots – it’s simply not feasible! What if I told you that you could get a money-saving, sales-generating chat bot running on your website by later today – quickly, easily and affordably — would you be interested? Of course you would, because you’re a savvy business owner. Anyone with an ounce of sense would be interested in this sort of offer. There’s a brand new bot-building platform out on the marketplace, and it requires ZERO coding experience. You don’t need to hire a developer. You don’t need to blow a hole in your budget. And it’s so easy absolutely anyone can do it – even if you can’t tell the difference between a line of code and a piece of garlic toast! All you have to do is point and click your way through the super-quick process of setting your bot, and then copy and paste a tiny bit of code into the web page where you’d like your bot to appear. Each and every bot you create can take on the personality of your choosing. You and your team will teach the bot how to speak in a way that really connects with your audience. For example, if you have a very professional niche market (think of the stereotypical humorless schoolmarm here), then your bot can present a super-polished and formal persona to match your niche and its members. Even the most uptight schoolmarm will flash a smile and be pleased when your bot helps her find a product or answer a question. Or maybe your bot is aimed at a cool crowd, like skateboarders. 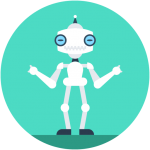 Your bot can take on your niche market’s lingo and exude a “cool” persona. Your visitors will feel like the bot is one of them. Point is, no matter who your audience is, you can quickly and easily train your bot to speak and act just like them. And that’s a very, very good thing when you’re looking to connect with your niche market! Save a sale. Imagine your visitors getting ready to exit your sales page, when your chat bot pops up. Your chat bot can answer questions, handle objections, or even point to a downsell offer. This is so simple – your chat bot works 24/7, 365 days a year to save the sale and add more money to your bottom line! Offer a discount. Imagine you have a visitor sitting on the fence about an offer. They’re liking what they see, but they’re just not sure if they should spend the money. Suddenly your chat bot pops up and offers the visitor a discount. 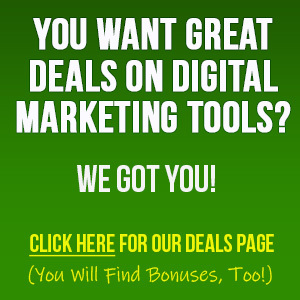 Boom – you just made a sale! Provide customer service. Whether you have a chat bot on your sales page, your blog, or any other page of your website, your chat bot can answer customer service questions. This saves you time and money in customer service staffing costs. Do you have a troubleshooting guide? Where can I get [some related product]? When does the product launch? Where can I get an owner’s manual? Where can I get more information about [some topic]? … and whatever other questions that are common to your business, no matter how outlandish! Greet visitors. Your chatbot can greet visitors on any page of your website, and then let visitors know its standing by to answer questions. You can even use your chat bot to welcome new members to a membership site, show them around the main features of the site, and then stand by to answer questions. Reiterate benefits. Your chat bot can pop up to emphasize the main benefits of an offer, whether that’s on a sales page or a lead page. Point to related content. Imagine your visitor reading a blog post. When he gets to the end, your chat bot can ask him what he’d like to do next – read another article? Look at a related offer? Watch a video? Your chat bot can then direct your visitor based on the answer. Collect market data. Instead of answering questions, you can have your chat bot ask the questions and then collect the answers. You can find out more about your audience’s demographics, problems, wants and needs. And you can collect all this information effortlessly, directly from your website! 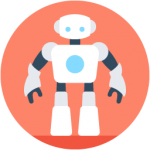 Your chat bot can share fun facts or tips with visitors. For example, on couponing site your bot might offer an “ultra couponing” tip to save even more money. Your chat bot can appear on OTHER peoples’ websites – no hacking required! Everyone who sees this amazing feature thinks we’ve hacked a website or done something else illegal. Nope, it’s all perfectly above board and legal. But your friends and visitors are going to freak when they see it! Put a chat bot on a social media platform. For example, your chat bot can work alongside a YouTube video to answer questions about the video, point to related content, etc. You can even make a chat bot appear on a third-party web page such as a government website, a university web page, an ecommerce site, someone else’s blog, or similar pages. You can do this in a serious and useful way to point people to additional information. Or you can do it purely for fun. For example, if you have a celebrity gossip website, you might have your chat bot answer questions about the celebrity. So how does this all work? How can you put your bot on other peoples’ pages legally and ethically? Here’s the secret: we use iFrame technology to make it appear like your chat bot is sitting on someone else’s website. Sure, technically savvy people will understand how it all works, but your average user will have no clue – and they’ll be amazed. And you’ll just love the control of having your content sitting on other peoples’ sites! Chat bots are absolutely exploding in popularity right now. All the big companies are putting them to work. Your competitors are already trying to figure out how to get a chat bot up and running on their websites. And if you want to level the playing field or even take an unfair advantage in your niche, you need to start using this technology too. Save money on customer service staffing expenses. 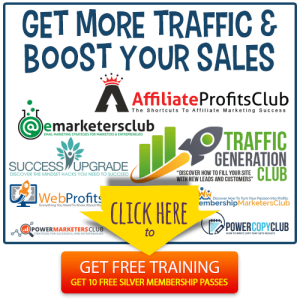 Increase conversions, sales and revenue. Save sales and abandoned carts. Help you grow your list. Help you collect important information about your market. Make your site “sticky” so users spend more time on it, and visit again repeatedly. Up until now, putting this technology to work for you has been a pipe dream for most small business owners due to the complex nature and expense of building a bot. But starting today, you can create a business-boosting chat bot the quick, easy and extremely affordable way. Just how affordable is it? We’re talking a monthly fee that’s about the cost of a pizza. You won’t find an easier, better or more affordable way to harness this amazing technology starting today. That’s right, you can literally have your first chat bot up and running before you go to bed tonight!